When it comes to designing and creating the perfect outdoor living space, you are going to want to make sure that you have everything in place. Particularly the garden furniture. Having the right garden furniture means that your entire family (or just you if you live alone) has somewhere to relax and unwind in when the warmer weather is around. But where do you start when it comes to garden furniture. To help you, we have put together our guide to outdoor furniture for 2018. One thing is for sure, when it comes to garden furniture you need to make sure that you invest in a good quality option. This will then in turn stand the test of time, be durable and look great no matter what the weather throws at it. There are a variety of different retailers out there that specialise in outdoor garden furniture. 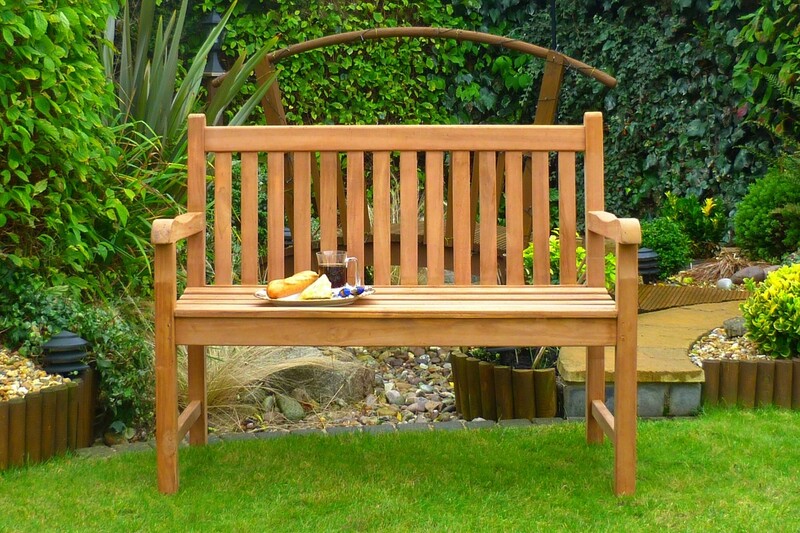 If you want to buy wooden garden furniture then you may want to check out Sloane & Sons teak bench, which is a great option for your garden. Before you buy garden furniture, you need to carefully consider what you actually want and need from it. Families need to ensure that their garden furniture is safe for their children and can handle the wear and tear that comes with family life. Similarly, if you are someone who likes to socialise and entertain friends and family, then you need to consider garden furniture that is going to be able to encourage socialising and chatting. Are you going to be able to store it away? Some forms of garden furniture can withstand a variety of weathers, whilst some are going to need to be stored away when they are not being used. You need to consider whether or not you have the space to store away whatever it is that you have bought, if you do, then great, your options are much wider, but if not, then you need to think about what type of furniture is suitable for outdoor storage. It is all too easy to get wrapped up in thinking about what looks best in your garden. Whilst this will result in you having a truly stylish and beautiful looking garden, it might not be the most comfortable for you to sit on. Of course, you are not going to sit for hours at a time in your garden, or perhaps you will, but if you plan to sit for more than half an hour, comfort is always something that you should consider. When you think about buying garden furniture, you need to pay careful attention to how much space you have in your garden. Whilst you will want to make sure that you have big enough furniture for you all to enjoy, you don’t want to cram it into your garden and lose any space that your family have to run around and have fun in. Else your outdoor space isn’t going to be the garden that you hope for. Just like the furniture inside your home, the furniture outside your home needs to be treated and cared for properly if you want it to last. The care and cleaning that your garden furniture will need is going to depend on the materials that it is made from. Wooden garden furniture is the one that needs the most care, whilst rattan furniture is likely to need the least. It is important that you look into the care guide for your chosen furniture and make sure that you understand how best to take care and protect it. It might not seem it but buying outdoor garden furniture is just as important as buying furniture for the inside of your home. However, the considerations that you might have to make are going to be entirely different. All it takes is some careful thought and in no time at all, you will have the perfect addition to your garden and the ideal place to sit when you want to relax and unwind.